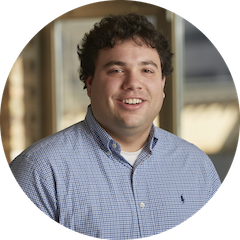 Alex is our Director of Technical Delivery and manages our entire Application Development practice as well as Business Process Optimization projects. He speaks annually at the Chicago Coders Conference and is an expert at Python & Google Cloud Platform. We throw the term “web development” around all the time, but what exactly does it mean? On the surface, web development indicates some sort of programming for the web. But the clarity ends there. Google Cloud Platform (GCP) Next 2016 provided lots of information about Google's latest, focused efforts to tackle the Public Cloud Hosting space. Cloudbakers recently migrated to Slack--and we couldn't be happier. Read about experience and evaluate Slack for yourself. Being able to tailor a product to your needs is extremely valuable. Writing your own Google Doc add-ons allows you to customize your user experience. There are many tools application developers can use. Here are the products the Bakers use in addition to the Google Cloud Platform & App Engine. The Google Cloud Platform App has arrived. Like any new app, there are pros and cons. Check out the best features, as well as potential improvements.